Bermuda today is the third most densely populated place on earth, with an estimated resident population at year-end 2005 of 68,500, in its 20.75 (twenty point seven five) square miles or 3,301 permanent residents per square mile. In terms of population per square miles, this is only exceeded by Monaco with 15,921 and Singapore with 6,891 persons. After Bermuda comes Vatican City with 2,200 per square mile; Malta, with 1,229; Puerto Rico, with 1112 (yet often written about in USA, including by the National Geographic, as one of the most densely populated places in the world); Bahrain, with 1,042; Maldives, with 1,036; Bangladesh, 962; Taiwan, with 699; Mauritius, with 647; and Barbados, with 642. In contrast, note the very low populations per square mile of the United States of America - from where over 85% of its visitors come; then Canada; United Kingdom (632); Japan (870); Netherlands (1002). In January 2006, the number of dwellings reached 34,850 in its mere 20.75 square miles. Bermuda has a total of 13,268 acres of land, of which residential land takes up more than 4,900 acres. golf courses use 777 acres and national parks take 800 acres. Bermuda, with its 69,000 resident population in its mere 20.75 square miles, an equivalent number of cars and other motor vehicles and the highest per capita income in the world, churns out more garbage per person than the population of Manhattan. Bermuda ranks 15th in the world in per capita carbon emissions by country, according to the Green Paper above, producing an incredible 11 tonnes per capita. That's more, per person, than industrialized Britain which has a population 1,000 times bigger. Bermuda also makes dirty electricity, producing 751 grams of carbon dioxide per kilowatt hour of electricity sold compared to 422 grams in the UK which has a variety of energy technologies. Bermuda's oil dependency means it has the highest electricity costs in the world. In November 2008 it stood at 42.5 cents per kilowatt hour with 48 percent of that the fuel adjustment cost. But with no manufacturing industry Bermuda can enforce more easily, stricter energy efficiency standards than elsewhere. Improving building design through insulation can reduce the need for air conditioners. Tiny it may be, but Bermuda pumps out plenty of greenhouses gases with nearly 2,300 vehicles per square mile. Car pooling is not required. Fuel economy and carbon dioxide emissions are not factored into import duty and re-licensing fees, as they are in the UK. Switching to electric vehicles is neither practical nor economic. Bermuda's strong solar resource is not utilized to produce useful forms of energy such as electricity and heat for water. Solar panels can be used far more effectively. The optimum angle for a solar panel is 32 degrees which fits in with the Bermuda building codes which specify roof pitches between 22.6 degrees and 39.8 degrees. In theory, the simplest solar power use is in heating water, rather than generating electricity, but installation would cost around $9,000 for a family of four while a smaller system for two to three people would cost $6,000. Those costs are far higher than in the US because of shipping, costs associated with the structure of Bermuda houses and duty. In Barbados, materials for solar water systems are duty free and tax deductions are offered on heater costs. The result is 38,000 such systems have been installed resulting in $6.5 million saved in fuel costs. And 50 hotels use waste heat from air conditioners to heat water. In wind power, Bermuda has strong wind resistance but peak wind times are out of phase with peak power usage months while wind is intermittent so cannot provide a constant source of energy. However in conjunction with existing diesel power generators it's a worthy investment. With limited space for onshore turbines offshore sites are an expensive possibility. In wave energy, studies in Australia, Hawaii, Ireland and Scotland have concluded that wave power is ideal for those territories and the report notes that Bermuda appears to have many similar characteristics. It is anticipated that once a suitable technology emerges, Bermuda may be able to take advantage of this resource, simultaneously becoming an international test-bed for some of the first commercial applications of wave energy technology. However harnessing ocean current energy will not be practical because of inconsistent current flows while tidal energy is also a non-starter. Bermuda is 99 percent dependent on imported fuels for energy. Thus Bermuda has to takes some unusual measures in some areas to try to preserve its resources for residents and visitors. There have been some successes but also some failures. This file gives some details of what has been done and what still needs to be done. On April 1, 2009 following publication of the Green Paper described earlier, Customs duty rates were slashed for environmentally-friendly products, in a move welcomed by green campaigners. The changes see zero duty for solar water heaters, solar thermal collectors, wind powered electrical generating sets and 'smart' electricity meters with net metering capacity. Photovoltaic AC generators are also included in the zero-percent rate these use solar cells for energy by converting sunlight directly into electricity. In addition, the duty rate for compact fluorescent bulbs will be reduced from 22.25 percent to 10 percent. And in news likely to please sailing enthusiasts during tough economic times, the duty rate for pleasure yachts and other pleasure craft has been halved from 55 percent to 22.25 percent. Shown in picture opposite). Otherwise known as the Airport Dump. Its hours are April to October, Monday to Saturday, 7:30 am to 7:30 pm. Closed on Sunday. Not mentioned in the Bermuda Government's official airport website. Can be seen clearly by visitors when they arrive by air. A metallic landfill land and sea waste dump, used for dumping on land and deliberately into the ocean - specifically into Castle Harbour - all types of cars, appliances, computers and peripherals (monitors. printers, etc) refrigerators, etc. It also takes acoustic tiles; air conditioning ducts; appliances (for example, washing machines, refrigerators, dryers, stoves); bulky metal goods (for example, bed springs, machinery sand wire); automobiles and related (trucks, buses); motor bikes; pedal bikes; ceramic and vinyl floor tiles; construction and demolition debris; crash helmets; dry wall; electrical and electronic goods (for example, water heaters, televisions, computers and peripherals; empty gas cylinders; empty fuel storage tanks; empty metal paint cans; fiberglass; mirrors and large pieces of glass (such as sliding glass doors); motor vehicle tires; PVC pipes, fittings and furniture; rubble and bulky rubble; SKB roofing; water filled fire extinguishers. Its proximity to the airport in Bermuda would not be allowed by airports and their regional or national authorities in American, British, Canadian and European areas. Europe, USA, United Kingdom, etc. It is not said whether in Bermuda this metallic debris affects aircraft navigation systems. But it is of serious concern to some Bermuda environmentalists that cars, trucks, computers, motorcycles, tires and refrigerators are routinely dumped here, leeching the water, in amounts averaging 700 truckloads a week. There are fines for improper sorting and disposal of waste. Unfortunately, the Bermuda Government, owner of this airport dump, has been cited by the Bermuda Government's Auditor General for repeatedly violating the Bermuda Government's environmental laws. Plans for a new vehicle recycling facility based at the current Airport Dump were proposed by a group of auto recycling business owners from the US. The group, who visited the current facility at the Airport Dump in November, were appalled to see the manner in which we are currently managing the dumping of our bulky waste such as vehicles and appliances. For over 40 years now, bulky waste has been dumped at the Airport Dump with little regard for the environment. Recent research by the Bermuda Institute of Ocean Sciences (BIOS) shows that those years of dumping has now contributed to large amounts of metals, PCBs, PAH and dioxins to currently be found in the sediment in Castle Harbour. The vehicle recycling group, which consisted of Greg Wilcox, president of Midway Auto Parts in Missouri; President Kent Rothwell and Vice-President Bruce Byrne of Weaver Automotive in Georgia and Tom Denton owner of Knox Auto Parts in Tennessee as well as Kansas-based Al Rettenmaier president of Integrated Energy Solutions a company that implements renewable technology for its customers, also toured other notorious dumping sites around the Island, as well as Marsh Folly and the Material Recovery Facility. From an environmental standpoint, research done at BIOS has shown “exceeding levels of metals, PCBs, PAH and dioxin in sediments within 80m of the airport facility”, according to information based on recent reports sent to the Department of Environmental Protection. “Four of the contaminants in the sediments (dioxins, furans, PCBs and the oganochlorine Chlordane) are on the ‘dirty dozen’ list of persistent organic pollutants (POPs) that have been targeted by international convention as priority pollutants for elimination or reduction of release,” the report, which was compiled by Dr Ross Jones and Tim Noyes, the Marine Environmental Programme manager, explained further. However, the report states that as waste management practices have improved, including the opening of the Material Recovery Facility, which sends a great deal of waste that would have in the past been sent to the Airport Dump, there is hope for the future of the environment surrounding the current facility. But BIOS has suggested that more needs to be done, including more recycling by the general public to lessen the demand on the facility, an external review of Bermuda’s current bulk waste disposal strategy, more enforcement of conditions stipulated in the Airport Waste Management Facility Operating Licence, better measures on inspection of waste entering the airport facility and more regular monitoring of environmental contamination around the environment at the facility. The BIOS team welcomed the concept of the vehicle recycling facility, noting that it “could potentially reduce the introduction of pollutants to the surrounding area”. According to the auto recyclers, the facility could also reduce auto insurance claims, reduce the wait time on repairing vehicles and help to standardise the salvaging of used parts from the Airport site. During the presentation, Mr Rothwell explained that the breakdown of an EOL (end of life) vehicle represented 75 percent of the parts being salvaged for reuse, 20 percent of the metal recycled and melted down for another use and 5 percent of the vehicle thrown away although research is being done to figure out how to lessen this amount. “The benefit of using scrap metal compared to new metal is the significant savings to the customer,” he said. The recyclers are also able to access up-to-date data that shows what parts are in demand by customers by taking an in-depth inventory of each part that is salvaged. “The vehicle is dismantled based on what the data has said we could possibly use for resale,” Mr Rothwell continued. “Fluids are dealt with and drained and separated in appropriate containers and recycled or reused. In our case, the car carcass is kept for any future needs. For this to be economically sustainable we need to be able to resell the parts.” In the US revenue for various parts include $941.60 for an engine and $545.35 for a transmission, he said. But one of the many issues that were raised during the presentation included a local culture that does not want to use second-hand parts in their vehicles. Because of the Islands affluence and our throwaway mentality, there is some resistance to using a second-hand part. The team hope to get the facility going with the view to finding a local company to train and eventually take over the programme. “It’s a viable economic answer that would create jobs and save the environment,” added Mr Rothwell. There has been a steady creep of algae in the sea and harbor bottoms. Shellfish beds have been smothered. Possible causes include cesspit leaching and use of fertilizers. This should not be put out for household garbage collection. Instead, it should be allowed to dry in newspaper, then wrapped in polyethylene, taken by car or truck to Tynes Bay Public Drop-Off, or installed in a yard drain for animal waste to go into an existing cesspit, or flushed down a toilet. They are supposed to penalize those who litter Bermuda's municipalities, open spaces, parks, and roads, and allow their horses to foul the beaches or highways. But the laws are hardly ever enforced and are not effective. Led by the Keep Bermuda Beautiful (KBB) organization, these always conclude with at least 25 tons of garbage cleaned up from the environment by individuals and groups of residents from all walks of life. The worst litter problem of all - more than all the other litter problems put together - is broken glass. It seems to be a sport of Bermudian teenagers to break glass bottles anywhere and everywhere. There is no "bottle or can bill" - no legislation that slaps an automatic extra charge on bottles or cans and thus creates an incentive for individuals to get a refund on the empty container when they have taken it back. This has been urged time and time again by USA environmentalists., but apparently resisted time and time again by the principal soft drinks manufacturers whose products are sold in bottles or cans or both. As a result, many areas have broken glass and cans from the products of these principal manufacturers and their Bermuda agents littering the countryside. Once Bermuda was known for its incredibly clean environment, but no more. Nowadays, visitors frequently see beaches, the Bermuda Railroad Trail and parklands strewn with broken glass and debris. A serious problem in Bermuda, with more asbestos than anywhere else in the world per square mile. In its 20.75 square miles in total land area there are 411 huge asbestos containers the Bermuda Government would love to get rid of but cannot. They include 150 container loads of asbestos collected from buildings on the former US Naval Air Station. In December 2003, it was announced that the British Government, via the international firm of WS Atkins, is advising the Bermuda Government on the problem. Currently, the Waste Management Section of Bermuda Government's Department of Works & Engineering is responsible for the administration of all activities relating to the receipt of waste asbestos. It includes the Ministry charging owners of commercial buildings a very hefty fee - currently, more than US$ 6,000 - per 20 foot container load, or US$0.60 per pound for a loose load, for collecting asbestos. So far, more than 390 container loads of commercial asbestos have been collected and stored, ready for disposal. Some have been stored for years at the Public Works & Engineering Quarry overlooking Castle Harbor, putting people living nearby on potential jeopardy. The international environmental agency Green Peace threatened to blacken Bermuda's name abroad if Bermuda dumps this asbestos well out to sea, as it is legally allowed to do by international conventions. Policies have limited the number of vehicles on the roads to 87 percent of the local population to one automobile per household, but there are now easily more automobiles - as well as mopeds and scooters which are not restricted in how many an individual may have - per square mile than in any other country. They are faster, noisier, more illegally tampered with and deliberately carelessly and dangerously driven or ridden than ever before. They cause accidents galore, frequent traffic jams, great apprehension and injuries to visitors who venture out on rented mopeds yet are unfamiliar with them. The automobile restriction law does not apply to the Bermuda Government. Its employees - 13 percent of the entire workforce - can use government cars as well as their own. One effect of this, which other consumers in Bermuda do not have, is that their spouses or adult children can use privately-owned cars to go to work or for leisure or both. The restrictions on the size of cars applying uniquely in Bermuda, no-where else in the world, do not apply to the Governor, Premier, Consul General of the USA, Bermuda Government cabinet ministers, funeral directors and a few disabled who can afford PC-licensed vehicles. They are allowed to have bigger cars. Residents and visitors should be aware that periodically - as reported by The Royal Gazette - sewage spoils prime South Shore beaches public and private. Unsightly and potentially disease-carrying balls of sewage wash up. If problems persist some beaches could be closed until the situation is brought under control. The grey, golf-ball size lumps of human waste are created from when sewage pumped offshore in outfall pumps a mile or so from Hungry Bay and from large hotels in the Parishes of Paget and Southampton. They look innocent, but once squashed they stink of human waste. The effects of the sewage have been noticed at South Shore beaches from Elbow Beach west and east, all the way to the Mid Ocean beach. Sewage outfall pipes are in plain view at the eastern end of Elbow Beach. The sewage problem arises because Bermuda is both physically isolated and one of the most densely populated countries in the world per square mile, yet with no sewage farms to treat sewage on land instead of at sea, as other countries do. A major contributor to the problem is the grease that comes from outfall pipes going from the City of Hamilton to Hungry Bay. The screening system used is not a treatment system and grease from the city's many restaurants mingles with other waste to form the golf ball-sized clumps of sewage. All waste pumped out to sea beyond the reefs is completely untreated. This includes radio-active waste from X-rays and other machinery at - and all other waste from - King Edward VII Memorial Hospital. (In the United Kingdom and Europe, Canada and United States of America, it is forbidden to dump such radio-active and other hospital waste into the ocean). It was hoped the high salinity of the sea and its volume would dilute the effects and achieve a rapid die-off. But when grease mingles with sewage, it prevents any breakdown and instead carries the sewage to shore. A sewage treatment plant in the city or nearby is a solution but no one in Bermuda wants it near them. To date, the Bermuda Government's Ministry of the Environment has not initiated any measures to ensure the safety and health of residents and visitors to UK, European, Canadian and American standards. For years, this organization has tried to keep endangered, indigenous, native and visiting birds flying into and over Bermuda. In the 1940's and 1950's a massive blight struck and felled most of Bermuda's native cedar (an indigenous juniper) trees. They were originally replaced with casuarina, an Australian pine. However, over the last two decades, there has been a large scale replanting of more disease resistant Bermuda cedar. 2018. December 11. Most of the rezoning proposals sent as part of the development of a draft Bermuda Plan want the removal of conservation protections, it has been revealed. The Department of Planning said more than 200 rezoning proposals were received as part of the consultation process and 177 of them dealt with protected areas. The Draft Bermuda Plan 2018 review and strategy report, released with the draft Bermuda Plan on Monday, said: “Of the 208 requests, 177, or 85 per cent of them, involved the rezoning of conservation land. “A few of these requests involved the swapping of areas to be zoned for conservation with no net loss of conservation land but the majority requested the complete or partial removal of conservation land.” The report said that the department’s approach to the requests was to not support the removal of conservation zones unless there was good reason. Examples included if a building has already been built in the area with planning permission or if the conservation zone was replaced with a similar-sized or larger zone on a reasonable location on the site. The report said Riddell’s Bay was the subject of one of the most significant rezoning requests, which proposed changing 22 acres for recreational conservation zone to residential and changing another 70 acres to nature reserve, park, open space and recreation zones. Another request suggested the creation of a new “coastal residential zone”, which would allow further development of homes by the sea and on small islands. Coastal reserve zones were introduced in 2008 to protect coastal areas and small islands, which are vulnerable to flooding and erosion, and to preserve the natural beauty of the areas. The report said: “The Bermuda Plan 2008 permitted the development of recreational cottages in coastal reserve areas, but this policy has proved difficult to enforce and restricts use of these cottages for recreational uses only. As such, this policy has been removed from the new plan. The new plan will continue to allow only limited development in these vulnerable areas.” Sixty-eight requests involved the removal of agricultural reserve zoning. The submissions said some land had not been used as farmland for a prolonged period, the owner wanted to build on the land or the area was not suitable for farming. The report said 738 acres of land are reserved for agricultural use, but only about half is used. The report said the Government had developed a crop strategy to help to reduce Bermuda’s dependence on imported produce through an increase in domestic production. The report added: “It is hoped that this will lead to a healthier and more food-secure community where healthy fresh fruits and vegetables are more accessible to everyone and where communities are encouraged to grow their own food.” The report said the Bermuda National Trust and the Bermuda Environmental Sustainability Taskforce reviewed the rezoning requests and submitted their own views. It added: “These included the need for the new Bermuda Plan to retain existing conservation lands, retain coastal reserve zoned areas and require the replacement of any conservation areas that are developed. It was also suggested that the Department should require greater setbacks for industrial sites located next to conservation areas.” The report also highlighted a 2008 report by the National Trust that warned of the threat of climate change. It said strategies included in the Bermuda Plan are intended to mitigate the risks caused by rising sea levels by limiting coastal development and encouraging “green” infrastructure. The Draft Bermuda Plan 2008 was released to the public in June 2008 and residents have until October 3, 2008 to comment. 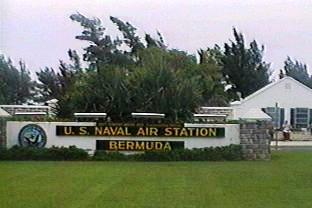 The 1992 Bermuda Plan will be replaced by the new one. Among the differences are tighter Residential housing regulations and clearer Rural zoning. The Base Lands Plan 1996, West End Development Plan 1984, and Pembroke Marsh Plan 1987 have also been superseded by the new Bermuda Plan. The Draft Bermuda Plan 2008 is now the operative development plan for the Island. All new planning applications received are now subject to its policies and provisions The statutory consultation period of two months has been extended to four, "to give the public more time to review." 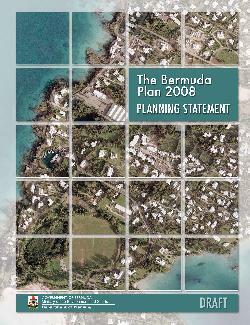 The Bermuda Plan 2008 will then guide all development until 2015. Government says the Draft Bermuda Plan 2008 was influenced by requests for rezoning by members of the public as well as stakeholders and statutory bodies. It was also shaped by the Sustainable Development Strategy and Implementation Plan. Bermuda has a finite land mass, and to that end the Draft Bermuda Plan 2008 strives to balance the need to accommodate appropriate development with the need to conserve and protect natural areas for future generations. The Plan is based on three strategies to promote and provide for conservation, development, and social opportunity. They are a Conservation Strategy, Development Strategy and Social Strategy. Among its objectives, Government says it wants to encourage development on brownfield, 'cluster housing' schemes, and "a range of housing types including affordable housing, special needs housing and group housing." The Zoning Maps designate the lands of Bermuda into four types, namely Development Base Zones, Conservation Base Zones, Conservation Areas and Protection Areas. Under each, the land is then classed into further zones and areas, each of which has specific regulations. The Draft Bermuda Plan 2008 Planning Statement and Zoning Maps are available at the Department of Planning website. The public can also view the Plan at the Planning Department, Parish Post Offices, the Bermuda National Library, and at a series of public exhibitions. Guidance notes are available and Technical Officers are also on hand to assist the public with any queries via e-mail, the telephone or in person. Conservation area policies and the conservation base zone - aim to protect habitats, woodland, agricultural land, open space, islands, coastal areas and recreational areas. Accessibility policies to ensure development is accessible to all, also allowing group housing and housing for the elderly. Two types - are endangered, from overcrowding - far too many people in such a small land mass. On June 25, 2013 Scuba divers, snorkellers and free divers were informed they could obtain a permit to spear lionfish anywhere on the Bermuda platform. Lionfish culling permit courses are now being offered as part of the Bermuda Lionfish Task Force Control Plan and the Ocean Support Foundation in support of the Department of Environmental Protection. The two-hour course, which costs $20, covers information on lionfish, safe handling and spearing practices and an explanation of how the permit programme works. Upon completion of the course, attendees receive a plastic permit tag and a lionfish spearing dive flag. Annual permit renewals will be free of charge, provided the permit holder has reported their lionfish catches or sightings to the Bermuda Lionfish Task Force. With a Lionfish Culling Permit you can spear only lionfish anywhere around the Island, including within the one-mile limit and on protected sites, in the fight against the lionfish invasion. Can be found in every Parish. Has done much to help preserve the environment. Became law on 1st March 2004. The new act calls for a proactive approach to the protection of local species threatened with extinction, and their habitats. Birds are afforded a certain amount of protection under Bermuda's Protection of Birds Act 1975. All local laws are enacted solely by the Bermuda legislature. Over several years it conducted the first extensive mapping of Bermuda marine parks and reef areas. It has concluded that Bermuda has managed its reefs better than practically any other country on the planet, so 99 percent of its reefs are amazingly healthy. Unlike the Caribbean, where coral reefs have been ravaged by human contact and disease over the past decade, Bermuda's reefs are near-pristine thanks to a long history of Government protection and sound management. Scientists have spent the past few years studying in great detail the amount of living coral cover, the types of corals, algae and fish species on Bermuda's reefs. The results are very positive. They believe, based on all their data, the reefs are in a very healthy condition. Bermuda's fish pot ban, coupled with the fact 100 percent of its reefs are classed as marine protected areas within a 200-mile zone, has been largely responsible for the health of the Island's coral reefs. Bermuda has been affluent and fortunate enough to preserve its reefs and the delicate ecosystem they support. In July 2008 Bermuda enacted new legislation aimed at protecting Bermuda's coral reefs for future generations. Maximum fines for breaking regulations under the Fisheries Act 1972 leap from $5,000 to $25,000, with the maximum jail sentence up from one year to two years, under the Fisheries Amendment Act 2008. Offenders targeted in the updated law included people who steal "ornaments" from reefs. The legislation also includes repeals to parts of the Fisheries Amendment Act 2006. A noisy but harmless large beetle - has now died out in most places from overcrowding - far too many people in such a small land mass. It used to nest in cedar trees. Is now endangered, from overcrowding - far too many people in such a small land mass. Not unique to Bermuda but tiny noisy frogs by night from May to October - are a national symbol. One of the several species has died out. It has been studying and tagging turtles in Bermuda's waters for 40 years in 2008. Bermuda is an important area in the western Atlantic region for these animals, and partners with conservation groups world-wide in efforts to protect them. The data generated during field trips and by using tags and transmitters has tremendous value in finding out more about these turtles and learning where they go next. During these field trips each year, more than 200 juvenile green and hawksbill turtles are caught and tagged in the programme which is jointly funded by the Bermuda Government, Chevron International, the Caribbean Conservation Corporation (CCC), BZS and its US-based affiliate, the Atlantic Conservation Partnership. Some of these turtles are also fastened with satellite transmitters. All the information gathered is vitally important to scientists to learn more about sea turtles and their regional migrations. For the past 13 years, the Bermuda Turtle Project has also offered biology and conservation of sea turtles courses for 106 students from Bermuda, the Caribbean, Canada, India, the Netherlands, UK, US, Central and South America. Foreign participants in the BTP programme learn about sea turtles during the annual ten-day field trips and often return to set up similar conservation and research efforts in their home countries. The project includes a Wildlife Rehabilitation Centre run out of the Bermuda Aquarium, Museum and Zoo. Hundreds of sick and stranded turtles including those injured by motorboats, nets and fishing line have been rescued and brought to the centre, and many have been rehabilitated and returned to the wild. Bermuda's King Edward VII Memorial Hospital, Bermuda Government owned, disposes of solid waste - syringes, bandages, body parts, blood and tissue, etc. - with a state of the art bio-oxidizing process. It produces gases which heat the hospital's boiler, water and laundry, to save on energy costs. Currently, there is no law on the return of glass bottles to place of purchase. Broken glass caused by deliberate bottle throwing is a very serious litter problem in Bermuda and a potential threat to locals and visitors. They now ensure that agricultural lands and those designated as woodlands cannot be developed privately or commercially, except when approved by the Minister of the Environment on a discretionary basis. Applicable legislation are the Bermuda Plan 1992 and Development and Planning Act 1974. All are imported - at an average retail cost of US$70 a tree - in late November or early December after first being inspected by the Department of Agriculture & Fisheries. After New Year's Day, usually on or about the second Wednesday in January, they are collected by a garbage truck and taken away to be turned into chips for a public garden. Not piped from individual houses as is common in USA, Canada, UK, etc. Instead, a pipe pumps the city's raw sewage to the Seabright Outfall located south of Hungry Bay, Paget. In 2008 it was discovered that sections of the pipe had been either exposed or damaged. Waste could be pumped directly into the ocean if the pipe springs a leak because no back-up plan is in place to handle the sewage in an emergency. According to a report compiled by Canadian consultant Associated Engineering in May 2008, the current system has had a number of maintenance issues. Problems with the inner section have included concrete protection erosion and complete exposure during extreme storm events. During a recent site visit, damage to the concrete embedment over the pipe in the near shore was observed. The Corporation of Hamilton continues to address damage to concrete embedment within this section of the outfall. The middle section of the outfall extends to a distance of 1,640 feet offshore and consists of a 14-inch nominal diameter HDPE pipe held in place with anchor chains. This section of the outfall traverses the inner reef and passes through an existing cave in the reef structure. During severe storm events, this section of the outfall has been exposed on several occasions. The existing outfall system has provided reliable service to the Corporation of Hamilton, but does require occasional maintenance. Problems with the inner section have included concrete protection erosion and complete exposure during extreme storm events. The middle HDPE section has also required maintenance and has cracked, requiring the use of repair clamps. The outer HDPE section has not required any known maintenance. The middle section of the outfall is considered the most vulnerable. Ocean and seabed conditions in the inner and middle sections make replacement of the pipe with a deeper buried pipe difficult. Fears have been expressed of a possible environmental catastrophe. The Corporation is now looking at drilling into the ground so that a pipe would be completely covered and protected. But that is a huge expense. In its report, Associated Engineering suggests a method known as Horizontal Directional Drilling as a possible alternative to the current system and identified a number of locations as possible "launching sites" - the current Seabright Avenue location, Ocean Avenue, Ariel Sands, Palm Grove and Devonshire Bay Park. The firm estimated that the cost of the project would be between $9.3 million and $12.6 million, depending on which site is selected. The Marsh Folly Waste Treatment Facility was launched in April 1995 by the Bermuda Government's Ministry of Works and Engineering. It is a 25 acre "compost production" center to reduce the amount of local food and horticultural waste and turn it into usable composting. It currently receives some 8 metric tons of organic waste and 35 tons of horticultural waste a day. Food waste alone now represents some 22 percent of Bermuda's total garbage. Restaurants must transport their food waste here. Many Bermudians also have compost bins in their gardens to convert discarded foodstuffs into usable garden additive. Office of the Director, P. O. Box CR 52, Crawl CR BX. Phone 293-1785 or fax 293-2716. Agricultural Exhibition, for Botanical Gardens phone 236-4201 or fax 236-7582, or Exhibition Secretary at phone or fax 236-4812. Agricultural Services, 38 Schools Drive, Prospect, Devonshire DV 02. Phone 292-4356. fax 292-1967. Bermuda Aquarium, Museum & Zoo, at P. O. Box FL 145, Flatts FL BX or Office of the Principal Curator at phone 293-2727 or fax 293-3176; or Conservation Section at phone 236-4201 or fax 236-3711 or Marine Resources Officer at phone 293-1785 or fax 293-2716. Parks. Botanical Gardens Curator at phone 236-4201 or fax 236-7582 or Tulo Valley Nursery at phone 292-2503 or fax 295-7054. 2017. April 26. Predatory fish once common in our waters including groupers and snappers are at “critically low numbers”, causing a threat to Bermuda’s coral reefs, according to a new report. Scientists Thaddeus and Jessie Murdoch released the report through the Bermuda Reef Ecosystem Assessment and Mapping (Bream) Programme. The report — Baseline Condition of the Coral Reefs and Fishes Across Three Depth Zones of the Forereef of Bermuda — also revealed that hard corals are in “good to very good” levels across most of the deep reefs and protected parrotfish appear to have recovered from the overfishing in the 1980s. Bermuda also enjoys high numbers of plant-eating fish across the lagoon, forereef and rim, which contribute to healthy reefs by preventing marine plants from overgrowing hard corals. The report covers information collected from 2004 to 2011 by the Murdochs and their team of local and international scientists and graduate students. During that time, the Bream crew measured the amount of corals, marine plants, plant-eating fish and predatory fish at more than 180 reefs located across all of Bermuda’s reef habitats. Thaddeus Murdoch believes that the loss of predatory fish is cause for alarm. “Large predators like black grouper carry out important work by managing the numbers of small and large parrotfish that live on the reef,” Dr Murdoch said. “Smaller predatory fish such as red hind, cony and grey snappers are also needed, as they keep coral-killing damselfish from spreading across lagoonal patch reefs. Bermuda’s coral reefs protect the island, give us food, and provide exciting experiences for locals and tourists alike. However, our reefs, along with those across the world, face destruction from an increasingly acidic ocean and increasingly violent storms. Our reefs can face these serious threats, but only when predatory fish like grouper and snapper, as well as plant-eating fish like parrotfish and surgeonfish, are abundant, marine seaweeds are sparse, and hard corals are healthy. Commercial and recreational fishing annually constitute only a very small portion of economic value generated by the services provided by Bermuda’s coral reefs to our society. However, we oversee the condition of our reefs as if they are primarily a fisheries concern. Reef condition is really a tourism and coastal protection issue, and should be managed accordingly,” Dr Murdoch continued. According to Dr Murdoch, Bermuda can restore predatory fish populations by restricting the rate at which commercial and recreational fishers catch groupers and snappers, limiting the sale of key predatory fishes during their spawning season, expanding the seasonal prohibition and extent of protected spawning areas where necessary, and enhancing marine resource enforcement. “Our centuries-old Bermuda reef fishery, and the multigenerational livelihoods that it provides, can only persist if we maintain the numbers of our breeding groupers and snappers. Marine-protected areas are one way to invest in our reefs, and they provide a valuable return in the form of a constant supply of fish that leave the protected areas and which we can eat.” Dr Murdoch pointed out that if we ignore the loss of predatory fish on our reefs, it is likely that our coral reefs will erode. In an era of rising sea level, loss of reef structure will allow higher levels of storm waves to damage and remove our coastal properties and beaches, while also reducing the visual appeal of Bermuda’s waters to both visitors and locals,” he said. The forereef of Bermuda surrounds both the island and its lagoon and encompasses an area of about 400 square kilometers. The coral-rich forereef protects Bermuda from storms, enhances tourism experiences, generates sand for our beaches, and provides habitats for the fishes we like to eat. A spokesman for Bream said: “The Bream report provides clear evidence that the cover of corals remains high at forereef locations, but is lower at deeper depths within the lagoon and particularly at near shore reefs where marine plants are overly abundant and plant-eating fishes are scarce. Predatory and plant-eating fishes are critical to maintaining healthy reefs.” The report is available at bermudabream.org. One was finally allowed in Bermuda in 2016, at St. David's, after three earlier refusals. Local graveyards are full, not surprising in a country where the population is the third highest in the world per square mile. In family plots, corpses are buried on top of the last. Family members may now have their loved ones cremated locally instead of overseas. All dogs in Bermuda must be licensed annually, whether puppies or adults. The annual registration year starts on June 1. Owners of all dogs have a license fee. Anyone keeping a dog without a license is guilty of an offense and can be fined. Dogs are not required to be micro-chipped. All who keep dogs - and any other animals - are expected to be humane, kind and considerate. Newcomers should not import any animal from overseas if they cannot take it back with them when they leave, without quarantine. The Airport landfill dump, clearly seen by incoming visitors from the air and the Arrivals terminal of the Bermuda Government owned and operated Bermuda International Airport and right next door to it - in fact, part of it - is the final place in Bermuda for old cars, car parts and other metallic wastes in the East End. They are dumped untreated into Castle Harbor. It is moving closer and closer to Tucker’s Town. However, pilot projects to ship old computers and air conditioning units to recycling centres overseas are underway. The infamous Sallyport dump in the West End for horticultural and metallic wastes, is very close to the Dockyard which attracts hundreds of thousands of tourists each year, yet does not seem to be an environmental concern in Bermuda, as it would be in North America or Europe. Incredibly, despite this, the Snorkel Park water site was established here for locals and tourists. With the history of the dump, such a facility would not be allowed in the UK, USA or Canada. One of the grimmest places in Bermuda. Dumping has been illegal there since the Tynes Bay incinerator opened but is still carried on secretly - and much junk is still there. Much earlier, it was a Royal Navy dump site, cleaned up at British UK taxpayer expense when the Royal Navy left. 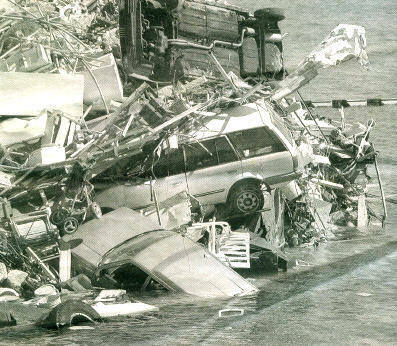 Under Bermuda Government control now, there have been mounds of discarded metal and plastic piping, truck chassis and old engines. Other heavy industrial garbage was literally spilling into the ocean across a 150 yard stretch of coastline at the dump. In places, ocean water had a metallic sheen. The once unsightly Pembroke Dump, sometimes also referred to as the Marsh Folly dump and in a highly populated area for medium and low income Bermudians by normal standards, is no longer being used as a garbage refuge and burning site. It is now being composted over, with plans to turn it into an attractive public park once it is fully treated. But it will take years. The energy-producing Tynes Bay dump for metallic and household wastes. It can now generate electricity. Its Residential/Public Drop-Off plant is free to the public, Monday through Saturday, 7 am to 7 pm. But for commercial truckers, the cost is per tonne. The ten-year-old incinerator has two input streams for carrying garbage into the furnace. It is intended to create a third stream, allowing more flexibility to shut down one of the other streams to allow for regular maintenance. It was hoped a third stream would add 20 years of life to the dump but this is meaningless now. Even with a more effective incineration process, finding ways of restricting the 67,000 tonnes of waste generated each year on the Island is a monumental challenge. A mechanical breakdown of equipment used for cutting down and shredding larger items such as construction waste and wood pallets before they reach the Tynes Bay incinerator has resulted in a towering mountain of backlogged trash. It is hoped the amount of rubbish sent for cutting down will be reduced by shipping wood pallets back to the US on returning container vessels rather than have them piled up and burnt on the Island. Currently, an endless stream of trucks roll in with truckloads of wooden pallets that come off the container ships. Also, dangerous items are placed in rubbish sacks, such as sharp, pointed items and other dangerous materials. Many neighbourhoods or houses cause problems for the trash collectors. Those abusing the situation are being targeted with legislation to be tabled making it easier to take enforcement action against those who abuse waste management rules. These are exempted from normally very high import duties on vehicles. This is an encouraging sign but the cost of electricity to consumers is far too high to make it practical. Currently, there is no law regulating them. The worst offenders are 2-stroke motor cycles, diesel trucks and buses. Grocery stores and garden centers stock them routinely. One very good thing that Bermuda grocery stores and supermarkets do routinely, copying consumers in the USA and Canada, is to issue large reusable brown paper bags for consumers to use. It is a practice that should be followed but is not by UK-based supermarkets and convenience stores. First published in late 1998 by the Bermuda Government it reveals trends in land use, fishing, energy and water consumption, transportation and population, and environmental health, to set a core of environmental statistics for Bermuda, to guide the government's Sustainable Development Strategy and Implementation Plan. The report breaks down into nine sections: Agriculture and Lane Use; Biodiversity; Coastal and Marine Resources; Energy; Minerals and Transport; Environmental Health; Natural and Environmental Disasters; Population and Households; Tourism; and Water. 2014. March 8. Bermuda's Exclusive Economic Zone (EEZ) will now remain entirely in Bermuda's hands. The EEZ will be removed from an international declaration that would have placed its stewardship in the hands of a multi-nation Sargasso Sea Commission. Premier Craig Cannonier made the decision yesterday, when he made it very clear that the best interests of Bermuda and her people must be paramount at all times, and no risk of impediment to complete control of our EEZ would be accepted. The Premier along with Environment Minister Trevor Moniz met with members of the Bermuda Exclusive Economic Zone Stakeholders Caucus yesterday, who objected to the Hamilton Declaration provision for the handover of stewardship, and had presented an alternative plan for the 175,000 square miles of open ocean to the Sustainable Development Department in January. The group said they were spurred to action and comment on several aspects of the Declaration after the text of the Hamilton Declaration was released just last week, with signatories due to execute the document in less than two weeks on March 11. The Declaration covered: the exclusive economic zone (EEZ) and territorial sea around Bermuda, (excluding the shallow water habitats associated with the Bermuda platform at the base of the Bermuda Rise) ... and agreed to set up The Sargasso Sea Commission which is to exercise a stewardship role for the Sargasso Sea and keep its health, productivity and resilience under continual review. The objecting Caucus group, after meeting with the Premier, along with Environment Minister Trevor Moniz and senior civil servants, released a press statement which stated: "The Premier made it very clear that the best interests of Bermuda and her people must be paramount at all times, and no risk of impediment to complete control of our EEZ would be accepted. The result was Government's commitment to Bermudas entire EEZ being removed from the Geographical Area of Collaboration as defined in the Hamilton Declaration and likewise making the relevant distinction on the map in Annex 1 (of the Hamilton Declaration document) prior to signing. They said their concerns and those of the other stakeholder groups were well received by The Premier and Minister Moniz. The Caucus thanked the Premier and Minister Moniz for their input and looks forward to fostering further synergies with the Environment Ministry with regard to the conservation, management and development of Bermuda's Exclusive Economic Zone. The Caucus members representing conservationists, marine scientists, commercial fishing, recreational fishing, mining, and telecommunication submarine systems are Gil Nolan, Richard Winchell, Danny Fox, Alan Card, Nick Hutchings, Jack Ward, Brenton Slade, Russ Frith, James Robinson, Fiona Beck and Michael Batista." A Government spokesman, answering questions last week about the development of the Declaration document, explained it was drafted by representatives of some 10 governments at a series of meetings over the last two years, and said: The Governments who helped draft it are expected to attend and sign it together with a number of other interested governments. The Caucus members while meeting with the Premier and the Environment Minister expressed their concern about the legal and political consequences of signing the Declaration, ... and the potential impact on Bermudians future opportunities for resource use in the EEZ. "The Caucus believes that decisions taken by the Bermuda Government that affect our EEZ must consider economic and social impacts as well as environmental and conservation issues," their press release stated. Marine Resources Board and The Bermuda Alliance for the Sargasso Sea (BASS) representatives were also at the meeting, along with Cabinet Secretary Dr. Derrick Binns and Permanent Secretary Kevin Monkman. The Bermuda EEZ Stakeholders Caucus was formed in the fall of 2013 to give their input in respect to the Exclusive Economic Zone. The group formulated an alternative plan for an adaptive marine resource management approach for the EEZ, building on ideas presented at the public forum in October 2013. The plan was submitted to the Sustainable Development Department in January 2014. 2014. March 4. Premier Craig Cannonier is to sign over stewardship of Bermuda's 175,000 square miles of ocean waters that make up the island's Economic Exclusion Zone, as well as its territorial waters, to an international commission without the Legislature approving the move, in just one week's time. The Hamilton Declaration on Collaboration for the Conservation of the Sargasso Sea will be subject to: ... "an executive action concerning issues beyond Bermuda. The Government may enter into such voluntary arrangements without the need for legislative approval," stated a Government spokesperson. The Premier, along with the signatories from as many as 10 additional countries, is preparing for the multilateral event which is set for March 11. However, Government will not release that list of signatories until after the Declaration is signed. The Declaration covers the exclusive economic zone (EEZ) and territorial sea around Bermuda, (excluding the shallow water habitats associated with the Bermuda platform at the base of the Bermuda Rise) and agrees to set up The Sargasso Sea Commission which is to exercise a stewardship role for the Sargasso Sea and keep its health, productivity and resilience under continual review. A concerned group called The Exclusive Economic Zone Stakeholder Caucus, who describe themselves as a group of motivated Bermudians and residents, including scientists, commercial and recreational fishermen, trans-ocean cable operators, mineral prospectors and conservationists, are objecting to the multinational agreement. Caucus member Michael Batista, who is vice president of the Bermuda Anglers Club, said: "We are considering the inclusion of our entire EEZ in what effectively amounts to an international memorandum of understanding on marine stewardship, without having defined our own EEZ management and conservation plan first. The influence of the Commissions persons of international repute could potentially affect access to and national benefit from our sovereign maritime territory and resources." A Government spokesman pointed to the Sargasso Sea Alliance (SSA)-Government website that states that the Sargasso Sea Commission has no management authority. The management authority over the EEZ around Bermuda remains exclusively under the control of Bermuda, while management of activities in areas beyond national jurisdiction remains with the existing international and regional Sectoral organisations such as the International Maritime Organization (IMO) for shipping activities, and the International Convention for the Conservation of Atlantic Tunas (ICCAT) and the Northwest Atlantic Fisheries Organization (NAFO) for fishing activities. The Declaration states there will be a legislative framework to establish the Commission. The Government description of the process is that the Commission will be established as a private legal entity under Bermudian law. There is no legislative framework no legislation is required in Bermuda. It has no legal effect in Bermuda. This is an international non-binding instrument under which foreign governments voluntarily agree to consult with each other on ways that they could support action to develop protection measures for the high seas through existing international organisations. Responding to questions about the Commissions authority to manage the Sargasso Sea, and the process by which their recommendations are moved forward, the Government spokesperson responded: "This is a novel/voluntary approach to try to develop protection measures for areas beyond national jurisdiction. The Commission researches and develops proposals which are discussed by the Meeting of the Signatory governments for presentation to international organisations like IMO, ICCAT, NAFO and others for measures in areas beyond nation jurisdiction (i.e., outside EEZs)." Answering questions about the development of the Declaration document, the spokesperson explained it was drafted by representatives of some 10 governments at a series of meetings over the last two years. The Governments who helped draft it are expected to attend and sign it together with a number of other interested governments. The list will be released at the meeting on the 11th. The process was reported to and discussed by Cabinet over the last two years, under the previous as well as the current administration. The Government spokesperson also said the UK has taken the view that this is within the terms of the Entrustment Agreement with the UK. Given that the UK is satisfied that this work is within the terms of the Entrustment Agreement between Bermuda and the UK, the Premier will sign on behalf of Bermuda. The text and data in the Declaration were also negotiated and agreed by some 10 government representatives as well as representatives from some six specialized international expert organisations. It refers to the SSA Science Report that was produced by a large number of authors from some of the leading marine research organisations in the world. Before it was published, it was reviewed by the Bermuda Cabinet and by the UK Foreign and Commonwealth Office and relevant Ministries. The Government spokesman also explained that regional and international organisations with relevant competences is the legal phrase to cover those organisations with authority over areas beyond national jurisdiction. They are set out in paragraph eight (of the) International Maritime Organization for shipping issues; the Regional Fisheries Management Bodies like ICCAT and NAFO, the Convention on Migratory Species. None of these bodies have power to impose measures on countries or their territories without their consent. The geographical area of the Sargasso Sea was determined by an ecosystem definition proposed by the Government of Bermuda to a meeting of scientific experts convened by the Secretariat of the Convention on Biological Diversity (CBD) in Recife, Brazil in March 2012, the spokesperson explained. After careful consideration by the experts it was agreed that the Sargasso Sea as so defined could be described as an Ecologically or Biologically Significant Area (EBSA). It was subsequently added to the repository of such areas held by the CBD Secretariat after consideration by all the CBD Parties at the Conference of the Parties (COP) in Hyderabad in autumn 2012. The Declaration will be signed by the Premier. Government has asked the Ministry for Environment and Health to be the Bermudian representative going forward and it will be the focal point for Bermuda. The meeting will be chaired by the Minister of Health and Environment. The spokesperson also explained the focal point in each country provides a single point of contact on this issue in each Signatory. It can be an office or a person. The Commission has the power to research and develop proposals in relation to activities such as shipping and fishing. These would ONLY relate to areas beyond the EEZs of Signatory countries including beyond Bermudas EEZ unless those countries specifically agreed otherwise, the spokesperson explained. Then those proposals would be discussed by the signatories and they would decide individually whether they could propose or support them before the relevant regional or international bodies. If they agreed, they would speak in support of such proposals before the IMO or ICCAT, et cetera. No proposal before such a body can have legal effect in any national waters (EEZ or territorial sea) without the express consent of that country. 2013. September. Government revealed potential plans for the creation of a marine reserve in Bermudian waters in an effort to gauge public opinion. The Ministry of Environment and Planning released “Bermuda’s Exclusive Economic Zone (EEZ) and Its Future” — a consulting document detailing the advantages and disadvantages of a large marine reserve in Bermuda’s waters. Three potential reserve options are presented in the document, the largest of which would protect three quarters of the EEZ — 346,340 square kilometers. A second option would protect half of the EEZ, starting 140 nautical miles from Gibbs Hill Lighthouse, while a third option would begin 178 nautical miles from Gibbs Hill Lighthouse and cover a quarter of the EEZ. Those who respond can also suggest their own layout of the marine reserve, or say they do not want the marine reserve at all. Environment Minister Sylvan Richards said: “Many people have an interest and a view and some have chosen to express their views and share them with the public. Some have even suggested a name and size for a protected area within our EEZ. Despite the strong interest shown to date by local and international organizations, this consultation process is open to all of Bermuda’s residents and the Ministry is particularly interested in hearing from our younger generations as they will likely inherit the responsibility for the decision that will be made. This Government values the input of Bermudians and given the significance of this matter, particularly as it relates to our long-term sustainability, our full due diligence is required. Additionally, it is expected that overseas stakeholders will participate and respond to the invitation to share their views. This Government wishes to ensure that all are given an opportunity to be heard before a decision is taken.” The proposed reserve would be a “no-take” zone, prohibiting fishing and sea bed mining in the protected area. The full consultation document lists several advantages and disadvantages of the proposed marine reserve. 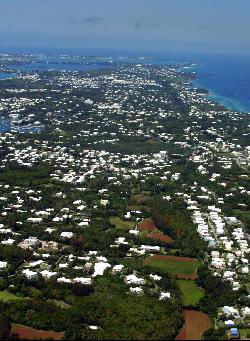 The document said the reserve could have social, environmental and scientific benefits for Bermuda, while improving Bermuda’s international reputation. It states economic modeling has suggested the proposal could increase visitor arrivals by two percent, creating millions of dollars of revenue. The document states: “As the global ‘blue economy’ develops, it may also be possible to generate revenue via carbon offset payments, based on the ability of plant communities in the marine reserve to absorb carbon dioxide.” However the reserve would cost around $300,000 to establish, with reserve management costs potentially reaching $175,000 per year. It would also curtail the possibility of seabed mining and limit offshore fishing opportunities. It also warns “considerable” overseas promotion could be required to reap the full tourism benefits of the reserve saying: “As the aim is to reach a distinct group of travelers, this may be an addition to existing tourism advertising costs.” A series of television, radio and print advertisements will be made and public meetings will be held to help educate the public about the costs and benefits of such a proposal." 2013. August. Government mulled over a plan to turn a vast portion of Bermudas waters into a marine nature reserve. A spokeswoman for the Ministry of Environment, Planning and Infrastructure strategy said the public will be consulted before any action is taken. Prior to making a decision on whether or not such a zone will be created, the Government will undertake a public education and public consultation exercise in order to determine the views of the Bermudian people, she said. Upon consideration of those views, the Government will then determine if such a Marine Protected Area will be created, and if so, the location, size, shape and the nature of protections to be associated with it. This initiative continues Bermuda's long standing commitment to ensuring the sustainability of our marine environment. The Bermuda Blue Halo project, announced last January, proposes turning a large portion of Bermudas exclusive economic zone (EEZ) into a marine reserve. Supporters of the plan, including oceanographer Sylvia Earle and conservationist Phillipe Cousteau, have said that in addition to protecting the marine environment the Blue Halo could help improve tourism and the local economy. Last September, Government approved turning Bermudas EEZ into a 170,000 square mile marine mammal sanctuary, protecting animals including the endangered humpback whale. Along with continuing to consider the Blue Halo initiative, the spokeswoman said Government is still moving forward as part of the Sargasso Sea Alliance an international effort to improve protection in the North Atlantic region. Bermuda is at the forefront of efforts to develop a model for the protection of the High Seas that are beyond any nations Exclusive Economic Zone and thereby beyond national jurisdictions, the spokeswoman said. "Government is also working to create a marine spatial plan for the Islands inshore waters, which would help Government determine the best uses for the resource. Bermuda is supported in these important marine conservation efforts by a number of international organizations such as the University of California Santa Barbara, the Waitt Foundation, the Bermuda Institute for Ocean Sciences, Mission Blue, and the International Union for the Conservation of Nature (IUCN) among others. July 13, 2012. The British Government is continuing to work with Bermuda and the Sargasso Sea Alliance in an effort to create a high seas marine reserve. Henry Bellingham of the Foreign and Commonwealth Office told the House of Commons that members of the Sargasso Sea Alliance have met with officials from the Department for Environment, Food and Rural Affairs and the Department of Transport to discuss the project. “As a result of this meeting, officials of the Department for Transport and its Maritime and Coastguard Agency are engaged in discussions with the Sargasso Sea Alliance with a view to identifying a measure or measures which would be appropriate to take forward in the International Maritime Organization. In addition, the Government supports the work of the OSPAR Commission, under which seven Marine Protected Areas in areas beyond national jurisdiction have been identified, in assisting the Alliance with its proposals. The Government of Bermuda supports the proposal to provide appropriate protection for the Sargasso Sea. The British Government, the Sargasso Sea Alliance and the Government of Bermuda are working together to this end through the appropriate forums.” He further acknowledged that the current system in place for identify marine protected areas on the high seas is “piecemeal, and that the British Government is committed to establish a new Implementing Agreement to address the issue. The Sargasso Sea is more than 1,000km wide and 3,200km long and is bordered by four separate ocean currents; the Gulf Stream, the North Atlantic Current, the Canary Current and the North Atlantic Equatorial Current. The region is also rich with marine life, and is considered a crucial spawning area for species including eel, dolphin fish and marlin. Earlier, a 200-mile area was established around Bermuda for fishing and related marine purposes. In it, Bermuda's Ministry of the Environment has been assessing the economic viability of long-line fishing, which involves hanging hundreds of baited hooks from a huge line, to harvest mainly swordfish and tuna. In February and March 2007, the American-owned 90-feet long steel ship Eagle Eye II made journeys within the zone on behalf of the government to give Bermudian fishermen the opportunity to learn new techniques that can help expand the local fishing industry and get more young Bermudians involved in fishing. The catch from her exploration and training missions were the property of the crew, but some of the catch was sold locally. Those in favor of long-line fishing say it will help local fishermen to take advantage of a strong migration of yellow-fin tunas heading through the Island’s waters. Thus fishermen have backed the move and claim it will boost the fishing industry. They say long-line fishing should have been brought to the Island years ago. But wildlife campaigners are calling for measures to protect sea turtles, cahows and other creatures potentially at risk from long-line fishing vessels. They claim environmentalists across the world campaign against long-line fishing, stating that many animals fall victim to “by-catching” when they accidentally get caught on the line’s hooks. In water surrounding Bermuda, it is feared sea turtles, cahows and even dolphins could be in danger of by-catching even if long-line fishing targets mainly tuna and swordfish. More than 300,000 seabirds are killed across the world each year as a result of long-line fishing. Environmentalists are calling for the Government to ensure methods to protect all such species are in place if the practice is introduced. Of particular concern locally are endangered sea turtles, which reside both in our waters and have migratory routes off shore. A second species of concern are dolphins, which have also recently been recognized as occurring in Bermuda’s waters and, in fact, within the 200-mile marine sanctuary. 2013. April. Government is to allow fishing in an area that was once closed to fishermen during the summer months. The decision to amend the boundaries to the southwestern seasonally protected area was made following “thorough research and in-depth consultation” with stakeholders, Environment Minister Sylvan Richards said. The area had closed each year since the 1970s, from May 1 until August 1, to protect hinds and groupers from excessive fishing when they came together to spawn. Said a Government spokeswoman: “In the past, the boundaries of these seasonally protected areas were defined based on landmarks and compass bearings, but this unnecessarily restricted fishing in areas closer to shore when the important spawning activity was taking place near the edge of the Bermuda platform. With the advent of GPS navigation, boaters no longer need to use landmarks to know their location when on the water and therefore closed areas can be defined more precisely. Previously, in 2005, following the discovery of an additional spawning aggregation, the two seasonally protected areas off the eastern end of the Island were consolidated into a single area along the edge of the platform, opening up more than 20 km2 closer to shore for fishing. Following consultations with stakeholders, the southwestern seasonally protected area has been redesigned to exclude the area near the shore that was only closed to fishing because it was within the angle of the compass bearings used to define the protected area. Important spawning aggregations near the platform edge will be protected within 49.6 km2 that remain closed to fishing for the reproductive season, while fishing will now be allowed in approximately 60 km2 closer to shore. A particularly welcome change is that fishing will no longer be prohibited in the popular area known as Sally Tucker’s. The exact boundaries of the redesigned southwestern seasonally protected area are shown in the accompanying map, which also includes the GPS co-ordinates for the four corners. The 200m depth contour remains as the seaward boundary and trolling is still permitted along this edge. In addition, there is an aggregation area for blue-striped grunts, also known as bull grunts, near Fort St Catherine. An area of 1.7 km2, which extends from St Catherine’s Point to the navigation channel on the eastern end around to a marker buoy in line with the Bermuda radio tower on the western end, has been closed to fishing for the months of May and June each year since 2007. The Department of Environmental Protection urges the public to familiarize themselves with these areas and abide by the Fisheries Regulations in order to help conserve our local fish stocks." 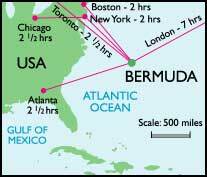 In the early 1600s, fishing in Bermuda was so plentiful that colonists relied on fishing for the vast majority of their food. For over three centuries, the bounty of the sea supplied Bermudians. Even in the 1950s and 1960s local fishermen supplied two thirds of all fish consumed in Bermuda. Fishing became a specialized industry. Numbers of fishermen increased. By the 1970s the first concerns arose. A marked decline in the preferred fish became evident. By 1980, fishermen could not catch enough to supply the demands of an expanding population facing significantly declining varieties of fish. The situation has worsened each year since then. Bermuda's Ministry of the Environment issued to commercial and other fishermen a chart for fish legitimate to catch, together with new minimum legal sizes. It identifies the fish by species and serves as a guide to fishermen to keep the fish or release them as required by law. The minimum sizes for allowable species are to preserve younger fish stocks and stay within United Nations rules for the 200 mile Exclusive Economic Zone Bermuda has. Some species have been added to the Protected Species Order and cannot be taken at all. They include the gag grouper (fine scale), Nassau grouper, red grouper, deer hamlet, green hamlet, mutton hamlet, and the tiger rockfish. Fishermen are allowed to take only one black or monkey rockfish a day and a daily bag limit of 30 fish a day has been set for silk snappers, for sport fishermen only. The ten a day limit remains for the red hind, but the season was cut by a month, now ending on August 31. A series of fish are measured from the lower jaw to the center of the fork. This restricts catches to larger, more mature, fish which have had a chance to breed. These, with their minimum new sizes for allowable catches, are the black rockfish (30 inches); monkey rockfish (20 inches); red hind (14 inches); hog fish (14 inches); yellowtail snapper (12 inches); and silk snapper (10 inches). The minimum catch size for blue fin tuna and swordfish have also gone up, although these are rarely caught locally. Under the 1972 Fisheries Regulations, spear fishing is illegal in waters in or less than 1 mile from shore and offenders caught will be fined up to US$5,000. Expect to see legislation in Bermuda in 2002 limiting the catches of blue and white marlin. The annual deadline for the first is the final working day in January. The second is from February to March. This has been successful in bringing some species back that were in danger of extinction because they were caught and wasted in fish pots. Divers, sailors, snorkel users are supposed to help stamp out fish pot use by reporting any violations, but few will because of possible repercussions. All gasoline sold in Bermuda is now lead free, to minimize air pollution caused by motor vehicles. There is no exception to this rule. Motor vehicles are not equipped with catalytic converters but use special lead free blends imported by Exxon (Esso) and Shell. But because of huge Bermuda Government import duties on all fuels, retail prices for gasoline (petrol) are among the highest in the world, currently nearly US$6 a gallon. All 4 wheeled motor vehicles will have their emission levels tested for pollutants from 2003 when they are re-licensed. For the weekly curbside collection (twice a week from April 5, 1999), householders are expected (but not obliged) to pre-sort and put in separate, appropriately colored bags items destined for composting as household waste, and cans and bottles earmarked for recycling. Prevalent in certain areas, such as on Vesey Street in Devonshire Parish. 2016. May 16. A British marine conservation charity could help the island close the net on illegal fishing in Bermuda waters. Executive chairman for the Blue Marine Foundation [Blue] Charles Clover — The Sunday Times investigative journalist who reported in the award-winning documentary The End of the Line — visited the island at his own expense this month and met with government representatives about a possible partnership. The main focus was helping to improve the island’s currently limited monitoring and enforcement capabilities. Mr Clover told The Royal Gazette that he wanted to make clear that, unlike the Pew Foundation which attempted to introduce its Blue Halo marine reserve to the island in 2013, his not-for-profit organisation was only interested in helping Bermuda to find its own solutions, sharing expertise and sourcing funding from international bodies, individuals and organisations within Blue’s extensive pool of contacts. He said: “I am not going to do anything unless Bermuda wants it — that is where people went wrong before. But if you have a shopping list, I can take it around the world and buy it for you. That is what Blue does.” His offer coincides with Britain’s Blue Belt initiative — a momentous conservation commitment to assist overseas territories in protecting their waters. Bermuda already has harsh fines in place for illegal fishing but there are inadequate monitoring and enforcement resources, especially for offshore grounds. If a long-line vessel was caught fishing illegally in Bermuda’s offshore Exclusive Economic Zone, the Government could find itself hit with a $1 million fine. Meeting with Jeanne Atherden, in her former capacity as environment minister, and chairwoman of the Marine Resources Board Susan Wilson, Mr Clover highlighted satellite technology that is being used on Pitcairn Island with some success, as well as the use of Royal Air Force drones to monitor illegal inshore recreational and commercial fishing in the Ascension Island. “Both Susan and Jeanne seemed very interested in what is going on with these leading-edge enforcement tools around the world,” he said. “One of the things I will look at is whether we can help Bermuda in any way to deliver better enforcement of its EEZ. Lack of monitoring and enforcement in Bermuda is well understood and we can help in providing expertise and funding for it. In the fullness of time Bermuda may want to get a handle on recreational fishing rates — if you are monitoring a reef, drones can be very useful.” While Mr Clover acknowledged the fine condition of Bermuda’s reef systems, going as far as to say the island should host a marine conference to show the world what it has achieved, he says data is essential for proper monitoring and that there is still a very real threat of illegal fishing farther from shore. “There is a widespread suspicion that tuna fishermen are coming into Bermuda waters and you would need to look out there and see what is going on — Taiwanese long-line fishing gear has been found in Bermuda without any growth on it. Nothing stops changing the potential for illegal, unregulated and unreported [IUU] vessels to sneak into Bermuda’s waters and the threat has never been greater — they are faster, they are more effective. Are there people who you could be fining? If you could levy a $1 million fine against one vessel you have suddenly got a budget for quite a lot of things.” A spokeswoman for the environment ministry said: “During his brief time on the island, Mr Clover met with the minister and the Marine Resources Board as the advisory body to the minister on marine-management matters. As a result of these and subsequent discussions, the government looks forward to exploring the potential for assistance in better understanding Bermuda’s deepwater marine environment and exploring better enforcement measures for the 200 miles of our offshore Exclusive Economic Zone.” During his visit to Bermuda, Mr Clover screened The End of the Line in a number of schools. The documentary explores how overfishing is “changing the world and what we eat”, predicting there will be no fish for humans to eat by 2048. NB: Cole Simons has taken over the environment portfolio from Jeanne Atherden after a Cabinet reshuffle. Office of the Director, Botanical Gardens, P. O. Box HM 834, Hamilton HM CX. Phone 236-4201, fax 236-7582. Animal control (dog wardens, dog complaints, animal cruelty). Or fax 232-0046. Animal Husbandry. Or fax 232-0046. Breeders, boarders, brokers, guard dog and guide-dog (for disabled and blind) licenses. Construction permits (Clean Air Act). Environmental Engineer. Clean air. chemicals, oil spills at sea or on land. Phone 297-7793 or fax 292-2349. Government Veterinary Officer. For animal quarantine (import and export of dogs and cats, other animals, PETS Travel Scheme, CITES Permits; artificial insemination. cattle-related matters; horse-related matters; cruelty, complaints, etc. Hydrogeology, including Government Hydro geologist. Phone 297-7853 or fax 292-2349. Lobster divers licenses. Recreational lobster divers can renew their licences at the licensing office of the Department of Environmental Protection located in the Botanical Gardens, daily Monday through Friday 9 a.m. to 4.45 p.m. Recreational lobster divers are permitted two lobsters per day and lobsters must be of a legal size. All terms and conditions of recreational licences are available at the Department of Environmental Protection. Note: A cap of 450 recreational lobster divers will be in place for the 2018-19 season. Home affairs minister Walton Brown said the cap is being reduced from 500 last year, when only 412 lobster divers applied. The Department of Environment and Natural Resources said it remained concerned about the long-term health of Bermuda’s lobster population, particularly in the shallow areas closer to shore. She said: “Bermuda’s lobsters are a resource shared between both the recreational lobster divers and the commercial lobster trap fishermen. Although commercial fishers operate in both deep and shallow water, the recreational divers can only catch lobsters in areas shallow enough for free-diving. This past season was the fifth consecutive season of below average commercial catches. While the number of lobsters caught per trap in the inshore areas was slightly up from the previous season, it was still 19 per cent lower than the 15-year average. The catch per trap is a standard measure that is an indication of the lobsters’ abundance.” The lobster season opens on September 1. Licences will be issued on a first come, first served basis from August 6. The deadline to report catch data, including nil catches, for the 2017-18 season was April 30. The ministry said divers licensed last season will only be able to re-licensing if they have already submitted their statistics to the Department of Environment and Natural Resources. The spokeswoman said 93 divers had not submitted any statistics. Mr Brown said: “The number of lobster divers and commercial trap fishermen allowed in the fisheries during the upcoming season was decided in consultation with stakeholders after an analysis of the 2017-18 data. In addition to the reduction in lobster diver licenses, the commercial trap fishery will have one less participant, meaning that there will be 27 trap fishermen this season. These numbers will be reviewed and adjusted as necessary with the sustainability of the fisheries in mind”. For more information on recreational lobster fishing licenses, visit www.gov.bm/online-services/apply-recreational-lobster-diving-licence. Lobster trap licenses. In August 2008. A total of 31 commercial fishermen were awarded licences for the lobster season, which begins on September 1 and ends March 31. The Department of Environmental Protection allocated 11 lobster pots to each fisherman for a total of 341 pots. These pots all belong to the Department and are standard sizes. Licences cost $1,500 per year. Marine Enforcement (Fisheries Wardens). Phone 293-1785. Fax 293-2716. Marine Monitoring and Protection. Marine resources manager. Regulatory matters, registration and inquiries. User group liaison (Commercial and recreational). Phone 293-1785. Fax 293-2716. Plant Protection Laboratory. Senior Plant Protection Officer, import permits, water testing, Phytosanitary certificates, insect identifications, CITES permits. The massive environmental clean-up of more than 600,000 gallons of oil and sludge in a cave at the former Royal Navy base in Bermuda cost Britain $1 million in 1997. But it paid for the work because it considers the environment a priority. Originally, it bought the land it used and then gave it back at no cost to Bermuda. But the United States Government did not come to the Island's aid in the clean-up of its own former military bases. Its Department of Defense was informed of the commitment of the UK Government. There are two sides of the story. The American side is that it is not prepared to clean up the former base lands unless there is a "clear and imminent" damage problem. This is why it has declined to date to undertake remedial measures to rectify all the very serious environmental problems its military forces caused in Bermuda in more than 50 years of their rent free throughout usage of so much of Bermuda's scarce land from 1941 to 1995. But the USA, not Bermuda, built most of it from scratch, at huge expense to American, not Bermudian, taxpayers, beginning in 1940. The total cost then was over US$42 million. The USA does not believe it has to pay twice. The USA is worried that if it has to clean up its environmental damage caused in Bermuda, it will have to do the same in other countries at immense cost. Also, at absolutely no cost to Bermuda, it developed an airport from scratch - when the area was still nothing but small islands - and thus created modern tourism for Bermuda. The Bermuda side is that the USA does not have the right to pollute the rest of the world. Bermuda is a unique circumstance because of its tiny size. It does not have a large land mass to hide the stuff and there is clear danger to both visitors and locals from known pollutants. The residue from them is deep underground and is affecting the ground water. At Morgan's Point, the site of the US Navy Annex from 1941 to 1995, it has been established that the US Navy pumped raw sewage into the system of caves underneath the entire base. The caves are also full of old oil which has leaked from storage tanks. The US Navy left there tons of hazardous heavy metals like mercury, lead and cadmium. Cleaning up the mess and pollution left behind after the military base closed is a small part of the enormous problem. The rest is the huge potential liability afterwards that has cost the Bermuda Government and local taxpayers many millions of dollars to clean up and has been the main reason why the area has not been developed yet, although re-construction began in 2012. Since 2007, at the Government quarry. Automated process of handling recycled goods has meant a decrease in some bulky items being sent to the Airport Dump. The team at the facility have been able to expand from just recycling tin, aluminium and glass to recycling bulky waste including e-waste, air conditioners and car batteries. They used to have to handle the bags and separate everything by hand. Now that is all done by machine. Because the system is so automated it has opened up a suite of products that we can deal with. It used to take a week to sort out a week’s worth of recycling. Now the team package up batteries and ship them out in special boxes lined with thick bags and padded out with filler to absorb any spills. Over the last year the facility has sent off 24 containers of batteries. Air conditioners are also packaged up and sent out in tact. There is also a collection three times a year of e-waste, which has proved increasingly popular with businesses. The most recent drive saw people dropping off everything from computers to hair dryers and battery operated toys. The collected e-waste is sent to a facility in Philadelphia that is fully EPA (US Environmental Protection Agency) certified. The company also maintains a good record of properly disposing equipment that may contain sensitive information such as that stored on a hard drive. But recycling from the general public and a decrease in purchasing and throwing away goods needs to continue to happen. They hear a whole litany of excuses as to why people don’t recycle. But it is starting to get better as more Bermudians live in other countries where recycling is more prevalent. But it can be hard for Bermudians to understand why we should be recycling things when we don’t see the impact of it here. The current facility has made for a much more relaxed system of recycling where items don’t need to be separated into different bags. Why not outfit your or a family members’ home with a recycling station and even a composting bin for the garden. Compost bins can be bought from Waste Management. There is no limit on how many an individual or family can buy. From 2003, there was a ban on any more 2-stroke vehicles. There is also a limit on the number of decibels a vehicle should have. But it is far too late. Bermuda now has more noise on its roads than New York or Beltway traffic in Washington DC. The noise in Bermuda roads is mostly from illegally souped -up and speeding mopeds and motor cycles. It is dreadful and frightening to locals and visitors and getting worse, not better. Owners of cruise ships and other vessels which have spilled oil in local waters have been prosecuted. On shore, householders and businesses risk prosecution if they dump used oils on land. Instead, there are special collection procedures in effect. A series of near-disasters from oil tankers grounded on Bermuda reefs in the early 1980s prompted the organization of a quick-response team and a review of the warning buoy system. Also, Bermuda's reefs are now registered in UK and USA. In 1837, Governor John Henry Lefroy persuaded the Bermuda Legislature to vote a sum of money for the drainage and improvement of the constantly flooding Pembroke March. From this came the Pembroke Canal. A century ago, it was really picturesque, so much so that post cards of it were on sale to the public. It was a gorgeous, serene and wildlife as well as recreational area of the Parish, where people could fish in water that ran through the canal into Mills Creek and from there to the sea. In July, 1943, The Yankee Store, in the City of Hamilton, romanticized the Pembroke Marsh Canal by shooting a lovely colored photograph of it and published it as a postcard under the title "The Brook, Bermuda, No. 114." In this postcard, one of which is today in the Bermuda Archives Postcard Collection, the canal's shimmering blue waters reflect the spire of the Cathedral and are bordered by flowering shrubs. Considering the the infamous Pembroke Dump next to it today, this 1943 photo of the canal is a gorgeous representation of a serene, pastoral Bermuda during a time of war. But industrial development from the 1950s, of the type most visitors do not see, polluted it badly. The canal changed as development grew and the Pembroke Dump was put in the area. Run-off from the roads which were now newly being heavily inundated with cars and trucks and contaminants leeching into the water from the dump turned the pristine canal into something reminiscent of a sewer line. The clear water turned to a slimy green and the white sands and abundant fish and wildlife in the area became a memory of youth grown old. An initiative was begun in March 1999 under then Minister of the Environment Arthur Hodgson, but has come to a standstill since then. But visitors can still see glimpses of the canal which stretches from Marsh Folly to Mills Creek. Sadly, the canal is no longer pristine. In hot weather especially, odors from the canal are not nice. 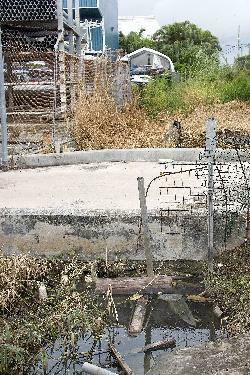 Toxic leaching from the now-closed dump is still taking an environmental toll, despite efforts by the Bermuda Electric Light Company Ltd on land it owns next to the canal, particularly since major expansion of the electricity plant. But it was always believed the Bermuda Government's Ministry of the Environment has a long-term plan. So it became hugely disconcerting when, in September 2008 frustrated residents and business owners expressed anger and concern concern after parts of the Pembroke Canal became completely clogged, creating a dramatic increase in mosquitoes as well as flooding the area every time it rains. It has been an ongoing problem for years and should be cleaned up. When some local residents, now elderly, were growing up the bottom of the canal had white sand and they used to go fishing and swimming in there. The Pembroke Canal water sits stagnant and is not flowing as it should via Mill Creek into the ocean. Stagnant water is a breeding ground for mosquitoes and other diseases and, according to the World Health Organisation, "pools of standing or slow-flowing water provide a breeding ground for many insects, including mosquitoes that can transmit diseases. These mosquitoes are known as vectors. Different species of mosquitoes transmit different diseases, and they will also breed in different types of water collections." Legionnaire's disease, a bacterial disease known to cause pneumonia, is a bug that has been found in ponds and is particularly attracted to bodies of warm, stagnant water such as in the Pembroke Canal. Many bacteria that live in stagnant water are anaerobic and produce different types of proteins on their surface (endo-toxins) which are a lot more dangerous for humans than aerobic bacterial proteins. There is huge cause for concern regarding the Pembroke Canal and the potential for a mosquito-breeding explosion because the incidence of diseases appears to be increasing. There are many reasons: people are developing resistance to anti-malarial drugs; mosquitoes are developing resistance to DDT, the major insecticide used; environmental changes are creating new breeding sites; and migration, climate change, and the creation of new habitats mean that fewer people build up natural immunity to these diseases. The water backs up every time it rains because the canal is not flowing at all and every time it backs up it floods the yards of local homeowners. The Works & Engineering Ministry is responsible for canal maintenance. They've cleaned it up around the Transport Control Department and Bernard Park and down by BAA Field but they have not been out to areas most affecting residents. Many people used to go on nature walks and hike through here on the trail to follow the canal, but there's been no-one in many months. The number of animals with cancer has increased significantly in recent years and was the main front page topic in the local Mid Ocean News newspaper of May 5, 2000. It has also caused severe mutation in and virtual extinction of some other small species of animals once common in Bermuda. 2016. May 3. Local fishermen have been warned to stay away from these protected marine areas, known as the “hind grounds”. The Department of Environment and Natural Resources announced today that the areas were closed to all fishing activities as of May 1. These areas provide sanctuary for hinds and groupers when they gather to spawn during the warm summer months, and fishing in these areas is prohibited through August 31. The two large protected areas, one to the southwest and one to the northeast of the island, both contain square-shaped extended closure areas, which are closed to fishing until November 29 each year. They have existed in various forms since the 1970s and, together with other fisheries regulations, are part of efforts to help to conserve local fish stocks, and protect them from over fishing. As the spawning season begins, maps of these important fisheries management areas are posted as a reminder, along with their co-ordinates. Designated and proposed. These are wetland sites deemed to be of outstanding national environmental importance and recognized as such by a prestigious Swiss-based multinational organization. Bermuda, as a political dependency not a politically independent country, is not listed under its own name but as a UK British Overseas Territories island and each RAMSAR site in Bermuda has its own UK number. UK41001 Devonshire Marsh East and West Bermuda 30.14 Proposed Basins. UK41009 Walsingham Pond Bermuda. Designated. Bermuda entered a new era of environmental care and responsibility following the official opening of the new Island’s TAG (tin, aluminum and glass) Recycling Centre. The $8.35 million plant was officially opened on April 3, 2007 at the Bailey’s Bay Quarry in Hamilton Parish. It replaced outdated and smaller Devon Springs plant in Devonshire Parish. The completion of the three-year project also marks the start of a campaign to increase environmental awareness among the population. Government staff will this week start placing all recyclable materials in designated bags in their offices while a website (wastemanagement.gov.bm) will provide residents with more information on disposal of waste. The Government is also developing measures to deal with ‘e-waste’ - computers and information technology equipment. It recently emerged that Bermuda generates more rubbish per capita than most industrialized nations, including the U.S. The Recycling Centre will have a key role in helping Government to attain its goal of doubling recyclable processing from 25 to 50 tons a week by 2008. The facility is capable of processing 25 tons of tin, aluminum and glass in just one day. Then-Premier Dr. Brown was joined on a tour of the centre yesterday by Cabinet colleagues, Shadow Minister for Works and Engineering, Jon Brunson, Shadow Minister for the Environment, Cole Simmons and Susan Harvey of Keep Bermuda Beautiful. Dr. Brown said: “I am very pleased today to officially open our new state-of-the-art recycling facility as it represents not only a fulfillment of a Throne Speech Initiative, but it reflects the Government’s commitment to a cleaner and sustainable environment for everyone in Bermuda, and it provides a healthier and more efficient working environment for our employees. It is our aim to encourage recycling as a partnership between the Government, every organisation and each resident because we all have a stake in Bermuda’s future. Living on an island in the middle of the Atlantic, recycling is an important part of our sustainability and our legacy to our future generations. Children live what they learn, so it is important that we commit to teaching our children about the importance of recycling in Bermuda. It is important that we as a community accept this responsibility for ourselves, for our children and for our children’s children. Recycling the vast amounts of tin, aluminum and glass that we use as consumers is just one little thing that each of us can and should do to make a positive and very big difference in the immediate future and in the long term. I’m asking every resident of Bermuda to help us to make our recycling campaign a success and a model for the rest of the world.” Dennis Lister, Minister of Works and Engineering, said: “This plant will process in one day the same volume that is currently being processed in one week. One of the goals of our integrated waste management plan is to encourage everyone to reduce the volume of non-combustible waste that goes to the Tynes Bay Waste Treatment Facility and the amount of waste that goes to the Airport Facility.” The Recycling Centre uses conveyor belts and magnets to separate tin, aluminum and glass into three cages. Manual ‘pickers’ pick out the non-TAG items, such as bags and plastic. The waste is then crushed into bales with the tin and aluminum sold overseas and the glass used for asphalt mix and support for retaining walls. Dr. Derrick Binns, Permanent Secretary of Works and Engineering, said three or four staff would be needed to operate the plant. He said: “We will run one or two days a week until we increase the volume. It’s tremendous efficiency - what we could do before in one week we can now do in one day.” Dr Binns reassured the 11 workers at the Devon Springs recycling plant that they would not lose their jobs. He said: “We will offer them positions at this plant, and for other people we will offer them other positions within the ministry.” He added: “Our plan is to use the Devon Springs site for e-waste, to dispose of computers in an environmentally-friendly manner." A spokesman for environmental group Greenrock said: “When Greenrock began in 2003, our primary focus was encouraging people to recycle. At that time though the small processing plant and outdated machinery was unable to handle the volume of material collected island-wide. This new centre has the capacity to process all of the island’s glass and cans. All residents and businesses can now participate fully and be confident in Bermuda’s recycling program.” Anyone wanting to comment on recycling policy can email Greenrock at info@greenrock.org. 2013. November 29. While many scientists have been warning about potentially dire consequences of the oceans increasing acidity, a recent scientific paper suggested that coral reefs such as those around Bermuda might actually help offset ocean acidification. They point out the ocean is the largest natural sink for carbon dioxide (CO2), absorbing one quarter to one third of the CO2 produced by humans. However, as the amount of CO2 in the atmosphere increases, fundamental properties of seawater chemistry are also impacted. Scientists have projected that waters in the open ocean will experience a decreased pH (the water becomes more acidic), as well as a reduced aragonite saturation state, meaning it will be more difficult for corals and other calcifying marine organisms to build their skeletons and shells. In a recent paper published in Nature Climate Change, a group of researchers from Scripps Institution of Oceanography and the Bermuda Institute of Ocean Sciences (BIOS) present compelling evidence that coral reef ecosystems may, in fact, modify seawater chemistry and help balance or even counteract the local impacts of ocean acidification. Lead author Dr. Andreas Andersson, a chemical oceanographer at Scripps Institution of Oceanography and adjunct faculty at BIOS, said: Other researchers have shown that different benthic communities can alter the chemistry on the reef, but were the first to show it on this scale, the whole ecosystem scale, over five years of observations. Using a combination of seawater samples taken from across the Bermuda coral reef platform, time series measurements from the Bermuda Atlantic Time-series Study (BATS) programme, and computer models, the papers authors found that naturally occurring reef biogeochemical processes act to modify the seawater pH and aragonite saturation state. The longer the water remains within the reef system (known as residence time), the more pronounced the offset on pH and aragonite saturation state. While its not known how these results translate to other reefs around the world, Andersson points out that some marine organisms may have tipping points, or certain pH thresholds below which they aren't able to survive. This reef feedback that we observed may buy them some more time. Professor Nick Bates, Senior Scientist at BIOS and co-author of the paper, said the study also highlights the critically needed value of sustaining observations over time for vulnerable marine ecosystems so that scientists and governments can better prepare strategies and mitigation approaches to cope with serious environmental challenges that are impacting both local and global communities. As with the fishing regulations, a new protected area of open water is now in effect around many areas. It began when the area around the Royal Naval Dockyard in Sandys Parish was closed off to make what is now known as the Snorkel Park and Beach - (right in the vicinity of a large former horticultural and metallic waste dump). In the year 2000, 29 areas where wrecks are located are affected and are shown on a map available from the Ministry of the Environment. As yet, despite hundreds of ships wrecked on Bermuda's reefs in four centuries - and narrow escapes from disasters in the 1970s, 1980s and beyond from oil tankers and grain carriers that could have caused immense ecological and environmental disasters and ruined the tourism industry, there is no legislation for huge fines against ships or ship owners for damaging the reefs. It would not prevent groundings but it would provide the resources to repair the damage. Hundreds of acres and hectares of Bermuda's reefs have been damaged by groundings, without any compensation and it will take up to 160 years for nature by itself to repair the damage. Bermuda's natural history and importance of proper waste management techniques to continue environmentally clean natural resources are now included as subjects taught in local schools. But they are not effective, with the huge litter problem Bermuda now has. There is no national sewage system, no sewage farms. Each house and commercial building or hotel has its own sewage pit. Sewage seeps into the ground. See under "water pollution." All controversial, these allow government to grant waivers to normal planning applications and over-ride environmental concerns and issues. For 66 luxury holiday apartments at Coco Reef. Paget. January 2008. 1951. An Act for the preservation of the Town of St. George in Bermuda was passed by the legislature. 1954. Bermuda Audubon Society formed in response to marsh dumping. 1962. First forward planning, with the Dwyer Report and its "The Next 20 years." 1964. Central Planning Authority formed. Keep Bermuda Beautiful founded. 1965. First Development and Planning Act for "orderly and progressive development of land and to preserve and improve the amenities thereof..."
1968. Department of Planning, DAB, established. 1969. Bermuda National Trust founded. 1971. Bermuda Building Code began, with application and planning regulations. A study on the Bermuda environment by Dr. Hughes showed significant loss of arable land. Freeman Fox study on highway and public transportation. 1972. Fisheries Act extended Bermuda's jurisdiction to 12 miles and required statistics on each species of fish caught commercially. It required commercial fishermen to be licensed. 1974. Development and Planning Act had far wider visions than the 1965 Act. Which Way Bermuda? Exhibition at City Hall. Second Bermuda Development Plan, with 53% zoned as an Environmental Conservation area with reserves for future development. 1975. Decline in grouper and snapper catch noted. 1980. Concerns for loss of open space cause widespread environmental activism. Steep decline in group and snapper fish cause concern. Environment Conservation plans and areas began. Fisheries Act amendment restricts entry into commercial fishing. Decline in reef fish from pots becomes evident. 1981. East Broadway Local Plan. 1981-83. Island-wide open space and arable land survey. 1982. Moratorium on sub-division of land. 1983. Third Bermuda Development Plan. 39% of Bermuda carries some form of open space or environmental protection zoning. Development areas are more site-specific and first residential standards apply. Desalinization plant arrives. Regulation of water lens begins. Plans are developed for regulated development of Somerset Village, Pitts Bay and Rosemont Avenue, Flatt's Village and Blue Hole Hill. Housing Action program is issued in response to housing shortage. 1984. Local Plan for City of Hamilton. West End Development Plan. 1985. Fisheries Amendment restricts pot fishing and limits size of pots. 1986. Development Applications Board established. Bermuda National Parks Act set aside 74 protected areas for the use and enjoyment of present and future generations and established a commission to oversea its management. Total area was 710 acres or 5 percent of Bermuda. 1987. Pembroke Dump Plan. Tynes Bay incinerator plan begins. 1988. Bermuda 2000 Exhibition reveals public's deep concern for the environment. 1989. Sharp decline in reef fish noted. 1991. Second arable land survey. 1992. Bermuda Plan promotes open space conservation in a high quality environment. 1994. Incinerator at Tynes Bay opens. 1999. Open Spaces forums. Bermuda Biological Station Ground Water study and Bio Diversity study, Aquarium. Those released into the sea from Bermuda impact on local shores and beyond. They include from copper near boat yards, metals and other debris at the airport dump and beyond. In a partial response to this, toxic anti-fouling bottom paint for boats has been banned. Operated by the Bermuda Government's Ministry of Works and Engineering, this currently includes 14 types of collection services and eight waste management facilities. The Ministry has divided the Island into 24 geographical areas, 12 in the east and 12 in the west. Collection is twice a week everywhere. Every week teams collect an estimated 440 metric tons of waste from a resident population of 68,400 and well over 700,000 visitors. The system can collect and dispose of a wide range of waste, including aluminum cans and structural aluminum, automobile batteries, copper, fluorescent light fixtures, discarded furniture, household batteries, PVC pipe fittings, waste paints, and waste oils. Exportation for recycling of metals, batteries, oils, plastics, etc. as part of the waste disposal process could make a marked additional favorable difference to the environment but its future is uncertain. Also see under "Beaches." There are no sewage or sewage treating stations in Bermuda. 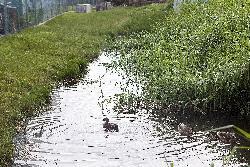 In almost all of Bermuda, sewage is not recycled and used for irrigation. Instead, it is dumped, untreated, into the sea by pipes, at the rate of over 1.7 million gallons a day. In other countries, but not Bermuda, effluent plants treat the water so it does not damage the land or water table. Bermuda does not have an anaerobic digester to break down the waste. It may be that the extremely high cost per kW hour for electricity in Bermuda is uneconomic, primarily because of the very high cost to consumers of the Bermuda Government's import taxes on all fuels. But dumping of sewage in local waters by cruise ships carries severe penalties imposed by the Bermuda Government. Instead, cruise ships must pipe their waste into special pumping out facilities provided on the docks. Every dwelling and building has its own ground cesspit or septic tank into which sewage is discharged, for dispersal through the rock and eventually into the sea. Even in the city of Hamilton, sewage is not piped from individual houses as is common in USA, Canada, UK, etc. Instead, a pipe pumps the city's raw sewage to the Seabright Outfall located south of Hungry Bay, Paget. In 2008 it was discovered that sections of the pipe had been either exposed or damaged. Waste could be pumped directly into the ocean if the pipe springs a leak because no back-up plan is in place to handle the sewage in an emergency. According to a report compiled by Canadian consultant Associated Engineering in May 2008, the current system has had a number of maintenance issues. Problems with the inner section have included concrete protection erosion and complete exposure during extreme storm events. During a recent site visit, damage to the concrete embedment over the pipe in the near shore was observed. The Corporation of Hamilton continues to address damage to concrete embedment within this section of the outfall. The middle section of the outfall extends to a distance of 1,640 feet offshore and consists of a 14-inch nominal diameter HDPE pipe held in place with anchor chains. This section of the outfall traverses the inner reef and passes through an existing cave in the reef structure. During severe storm events, this section of the outfall has been exposed on several occasions. The existing outfall system has provided reliable service to the Corporation of Hamilton, but does require occasional maintenance. Problems with the inner section have included concrete protection erosion and complete exposure during extreme storm events. The middle HDPE section has also required maintenance and has cracked, requiring the use of repair clamps. The outer HDPE section has not required any known maintenance. 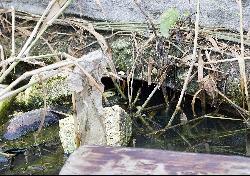 The middle section of the outfall is considered the most vulnerable. Ocean and seabed conditions in the inner and middle sections make replacement of the pipe with a deeper buried pipe difficult. Fears have been expressed of a possible environmental catastrophe. The Corporation is now looking at drilling into the ground so that a pipe would be completely covered and protected. But that is a huge expense. In its report, Associated Engineering suggests a method known as Horizontal Directional Drilling as a possible alternative to the current system and identified a number of locations as possible "launching sites" - the current Seabright Avenue location, Ocean Avenue, Ariel Sands, Palm Grove and Devonshire Bay Park. The firm estimated that the cost of the project would be between $9.3 million and $12.6 million, depending on which site is selected. The Bermuda Cedar is making a partial welcome comeback. The Bermuda Longtail - not unique to Bermuda but a frigate bird that nests in cliffs by the sea - is a national symbol and so far as survived. The Cahow population is slowly but steadily increasing. This native bird, found only in Bermuda, is no longer threatened with extinction. Until recently, it was thought to be extinct. The native Bluebird population has increased, with an established, popular nest box program. The Yellow crowned Night Heron has been successfully re introduced as a natural predator of land crabs. Turtle conservation and research is underway and reaping benefits. Reef fish populations have increased due to the complete ban on fish pots and the strict new fishing policy. The Fairmont Southampton Princess Hotel, Bermuda's largest, has its own sewage treatment plant. There, the effluent is treated and used to irrigate the hotel's landscaped grounds. West Indian top shells have been reintroduced and are increasing in number, but are an endangered species. While agricultural land, nature reserves, other open spaces and rural areas have declined in total acreage, the numbers of national parks, recreational and golf course areas and woodland reserves have been growing steadily in acreage. Bermuda Audubon Society at 297 2623 and 235 5513. For environmental problems, especially in connection with birds. at 297 2623 and 235 5513. For environmental problems, especially in connection with birds. Bermuda Bluebird Society at 238 0168 for assistance with questions and problems. Bermuda National Trust at 236 6483 from 8:30 am to 5 pm Monday to Friday, for environmental concerns. Keep Bermuda Beautiful at 295 5142 to report any littering seen anywhere.